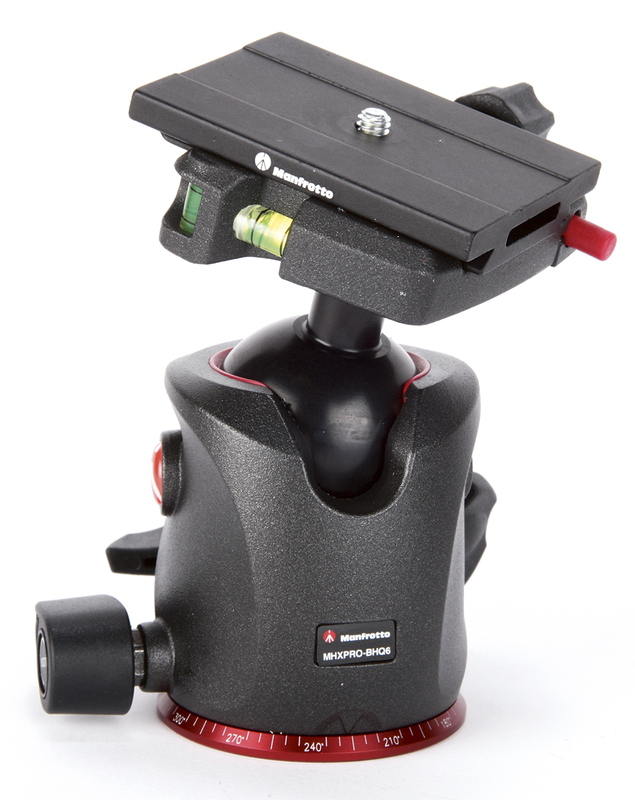 At first glance, Manfrotto’s latest XPRO ball head looks almost identical to the 054 model. However, it’s much lighter (520g versus 826g) and has a new locking system for the main ball, but it lacks the portrait angle selector switch found on the 054. Two large levers lock the ball and the panning base independently. Unfortunately these unscrew very easily and are not captive, so could conceivably fall out and get lost if you’re not careful. A separate friction control has rather loose click-stops at every 20°. 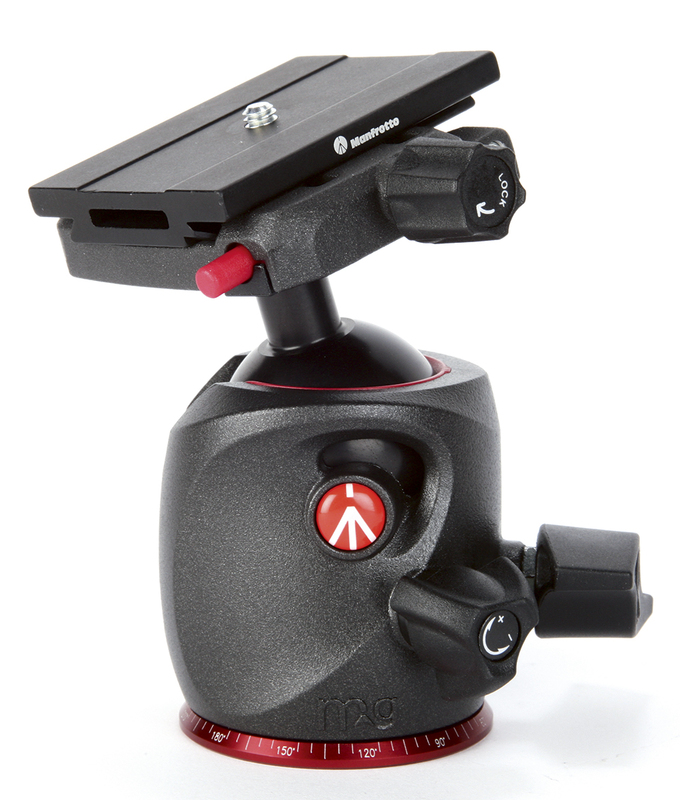 The excellent Top Lock quick release accepts Arca Swiss compatible plates. The camera can be snapped in from above, and quickly secured in place by twisting the locking knob. The supplied plate is huge though (70x55mm) and has no rubberised grip for the camera’s base. The Top Lock quick-release platform has three spirit levels, one for each axis. A standard 3/8in thread allows attachment to most tripods. The independently locking panning base is marked at 5° intervals for panorama shooting. This allows the camera platform to tilt 90° for portrait format shooting. Solidly built from magnesium alloy, the XPRO is quite capable of holding a full-frame DSLR and large telephoto lens – indeed it’s overkill for smaller cameras. The ball rotates very smoothly, but I found the camera tends to tilt upwards slightly when it’s locked. Also, while it’s very easy to adjust the friction control to match the lens you’re currently using, it’s also a little too easy to knock loose accidentally, which risks damage with heavy lenses. Overall there’s a lot to like about the XPRO ball head, but a couple of small design flaws mean it’s not quite as good as it could be. 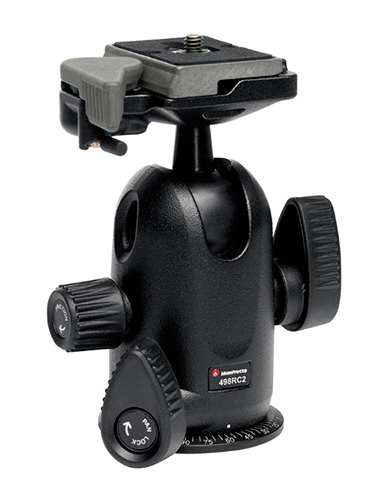 Manfrotto’s older large ball head has most of the same features as the XPRO, but is heavier and less refined. 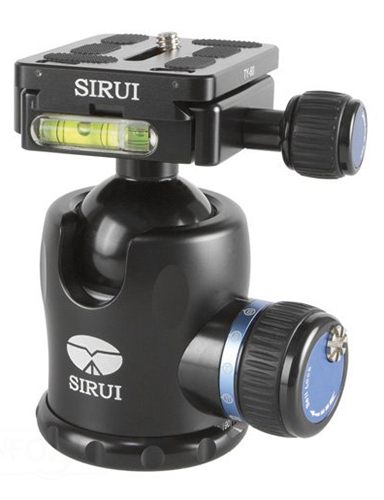 This superbly-engineered medium-sized head uses Arca Swiss release plates and weighs in at 400g. 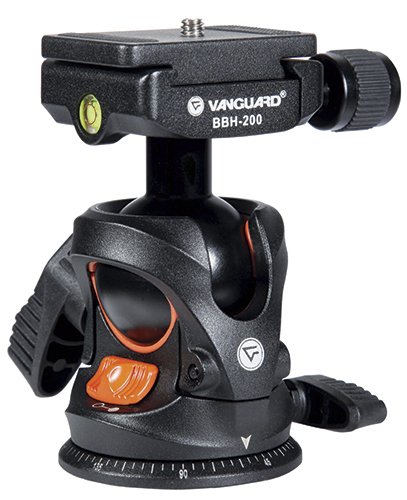 A strong but lightweight ball head that uses Vanguard’s Rapid Level System and Arca Swiss plates.